The latest fashion trend among primary school children worldwide is wristbands made of brightly coloured elastic bands. 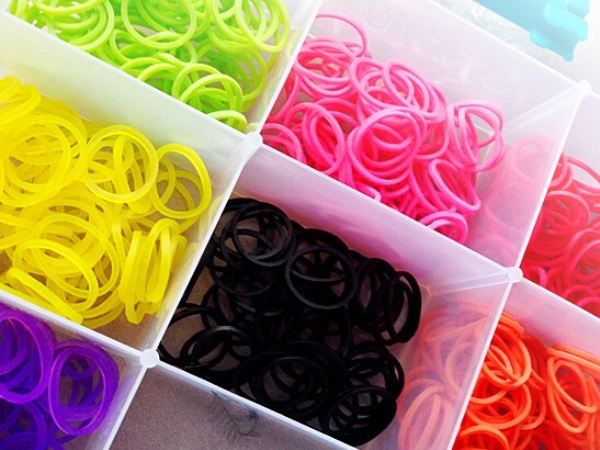 We look at the pros and cons of wearing these loom bands. The latest fashion trend among primary school children worldwide is wristbands made of brightly coloured elastic bands. Loom bands gained popularity after the Duchess of Cambridge wore one during the royal tour of Australia and New Zealand earlier this year. Children make the bands from neon-coloured elastic bands and wear them as friendship bracelets. In Wales a dress made of these neon bands was sold for R2,8 million. A British mom has warned other parents about the dangers of these bands after her seven-year-old son was shot in the eye with one of them, blinding him. The boy developed a blood clot on his left eye and is now waiting to have surgery which will hopefully save his sight. She warns parents children could easily choke on the bands or they could cause circulation problems if kids wrap them around their wrists or fingers. It’s not necessary to ban the bands from your home as they have certain advantages. Besides the fact children are mad about them they can help kids with the development of their fine-motor movements when creating things with the bands. Writing on her blog, clinical psychologist Erin Bowe of Melbourne Child Psychology & School Psychology Services in Australia says it stimulates kids’ creativity because they have to decide which colours to weave together. It also helps with their concentration and awareness skills. “Creating a pattern involves skills in being able to imagine what you want the end result to look like,” she says. Children also have to use basic mathematical skills to calculate how many bands they’ll need to for instance make a wristband.